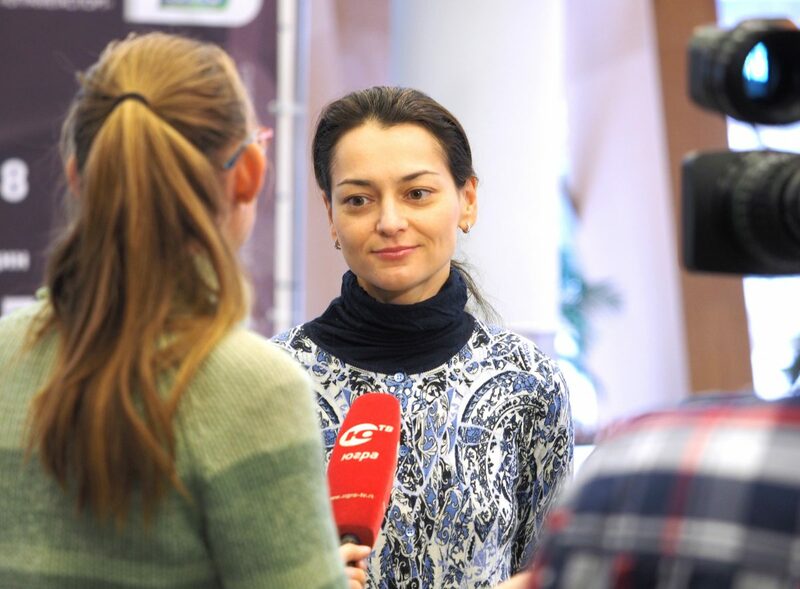 On the eve of the opening of the Women’s World Chess Championship, its participant, the 12th world champion Alexandra Kosteniuk spoke about the first days spent in Khanty-Mansiysk, her preparation for the tournament and superstitions. – Alexandra, how do you feel? Is there some tension before the start of the tournament? – I am feeling much better today than yesterday. Autumn turned out to be quite tense, not only for me, but also for most of the participants in the championship. Therefore, I am glad that I arrived in advance and has been here for so long. These days are necessary for me to acclimatize. But I don’t feel any tension. – Is it only about acclimatization, or does it take time to make us your mind before the event? 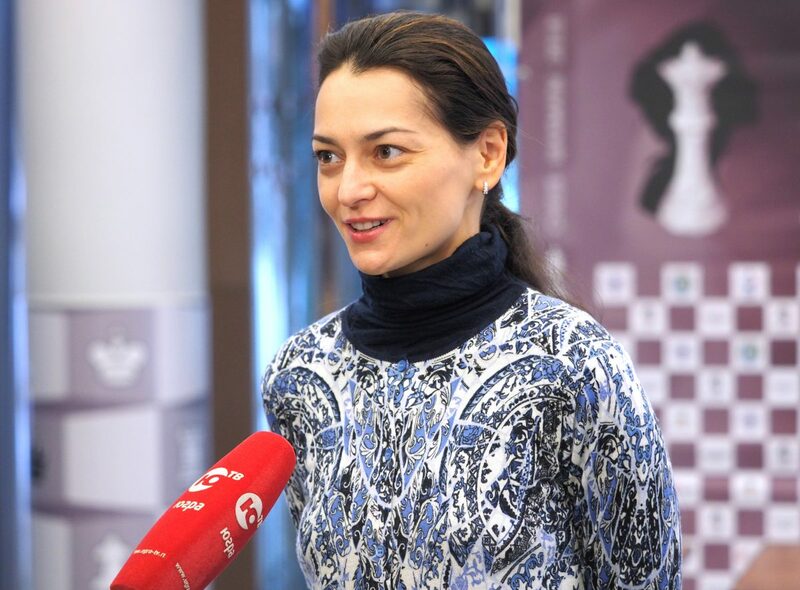 – For me it is more about acclimatization, because, as I said, the autumn was full of events, there were so many competitions, and the “tournament mode” was not yet switched off. I move from one tournament to another, so I don’t need to recall how to play and prepare. I need more rest and acclimatization. After the tournament on the Isle of Man, I need to get used to the time and temperature differences. This is the most important thing for me now. – Are chess players superstitious? Do you believe in marks and omens? – Probably, all players are superstitious in one degree or another. Some time ago I worked on myself to be less dependent on superstitions, because they often disturbed myself. But on the other hand, there are some superstitions that help. They remain, of course. – What kind of superstitions? 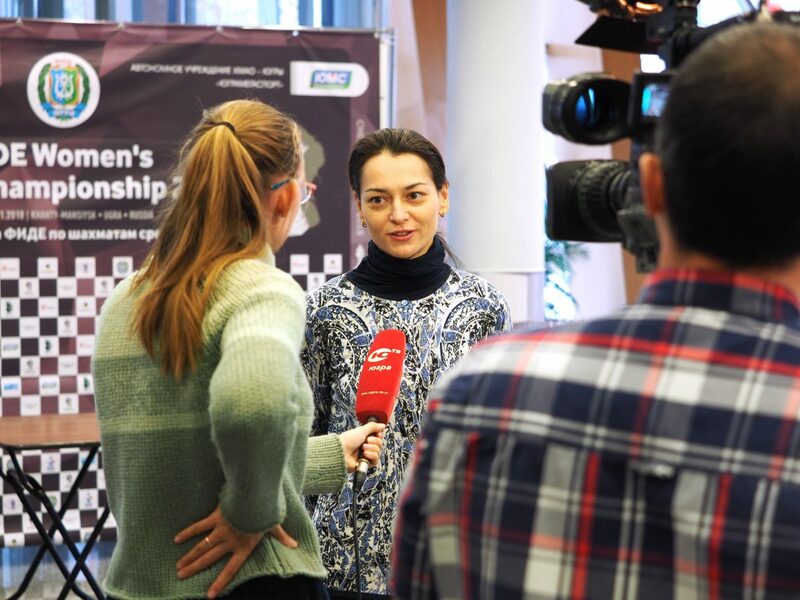 – It depends on how the tournament goes. If you win a game, a superstition already appears: what you did, how you played, what schedule you followed etc. And if a tournament does not go well, on the contrary, you think how to change the course of events. – Is there something forbidden? – It seems to me that it is important to be flexible and not focus too much on something. As for me, I do not have any certain taboos. It is clear that you need to get ready for a game and to play as good as you can. And then to watch how the tournament goes on and make some conclusions. – And what about lucky charms? Is there anything that brings you good luck? – At the age of 12, I had my favorite fluffy toy. But at the moment there is probably something opposite – you don’t put on the things you were wearing when you lost because you start thinking about it. It seems like you understand that this means nothing, but such thoughts still come to mind, interfere and disturb. Rather so. But something like a pen, with which I won the tournament twenty years ago, no. – As for the clothes, are there any rules or restrictions? – No, there are no restrictions. Everyone wears what one feels comfortable in. Still World Championship is an important tournament, so you wear what makes you feel good. For some people it is important to look good, others do not care about this. But when the tournament starts, everything except chess is put aside.